Jason Clarke stars as a doctor who gets desperate in this remake of a Stephen King classic. (SPOT.ph) "Sometimes dead is better" is the chilling tagline that Pet Sematary has used in its different iterations. Even the 2019 adaptation of the Stephen King novel uses it, which is a bold move for a film that is remaking a 30-year-old movie that’s come to be a cult favorite over the years. Had this remake been a complete bust, one could already hear the snooty whispers of "Well, sometimes dead is better." Luckily for Paramount, 2019's Pet Sematary is a mostly thrilling success that does exactly what it needs to do: Make audiences scream in sheer terror. The original film, though not as beloved when it came out, was one of the more memorable King adaptations mostly due to the twisted visuals of a wild zombie child brandishing a scalpel (played perfectly by kid actor Miko Hughes). Effective and solid more than it is unique and groundbreaking, this remake of Pet Sematary won’t be breaking down doors for the horror genre but it joins It as great examples of successful remakes that add their own twists to the formula. The 2019 remake sticks relatively close to the source material with the Creed family moving into a new home in the countryside. 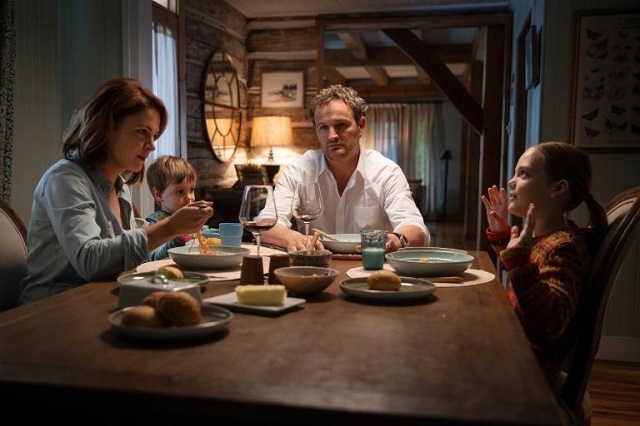 Doctor Louis (Jason Clarke) hopes to get away from high-pressure medical work to something more relaxed near a campus, while his wife Rachel (Amy Seimetz) hopes to find peace away from the city with their children Ellie (Jeté Laurence) and Gage (Hugo and Lucas Lavoie). Ellie stumbles upon a pet cemetery (misspelled as “sematary”) in the woods near their backyard where she meets new neighbor Jud (John Lithgow). A horrifying accident makes Louis question the world around him, and that starts off a string of events that progress from bad to worse, including the death of the family cat, Church. 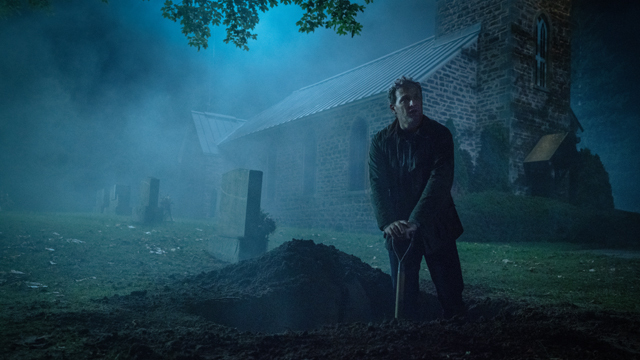 Jud, in an effort to help Louis, brings him to a foggy, creepy, moat area past the pet cemetery where they bury Church. Hours later, Church comes back to life—but is a shell of what he used to be. More aggressive and disheveled, Church does things he never would’ve done before. Tragedy after tragedy follows suit, causing the Creed family to stare death in the face. 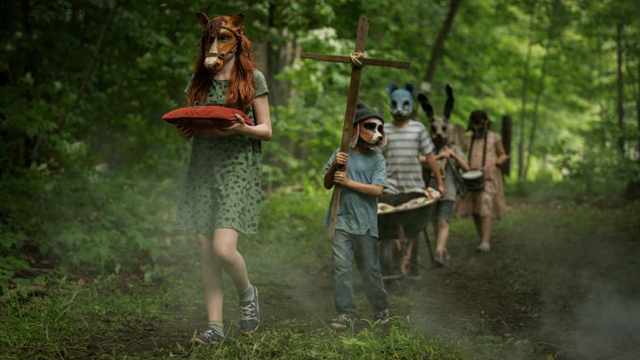 When original horror films like Hereditary and Us are populating the cinemas, it’s easy to dismiss Pet Sematary as nothing but a remake. But as a remake, it’s an effective and competently made thriller that gives viewers a fright. It does exactly what it needs to do for a remake, and that is pay respects to the original while doing its own thing. 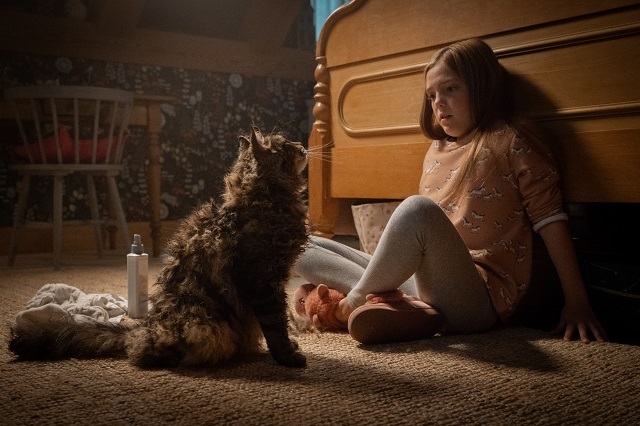 2019's Pet Sematary comes up with several of its own twists that it’s a "go in without knowing anything" type of film. The less one knows, the more shocking is everything that occurs. It does its best to set it apart from the original, which was far more a late 1980s schlocky horror film. 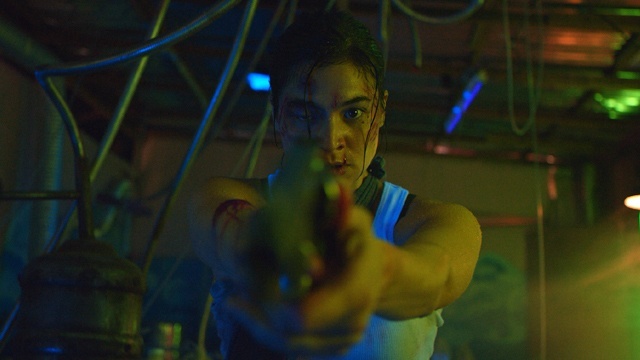 2019 updates it to be more visually creative, with clever jump cuts and a focus on tension and suspense build than just straight-up jump scares (which there’s a lot of too). Directors Kevin Kölsch and Dennis Widmyer are very good in maintaining the movie's atmospherically creepy style. Even the setting, with this nice, inviting house from the outside beside lots of green acres, the interiors feel claustrophobic and uncomfortable. The production design, while nothing too spectacular, works enough to give viewers the creeps, especially in the pet cemetery. This is a film that very clearly, a lot of very talented people worked on. From the cinematography to the costumes, and the music to the sound design, it’s all very well done. There’s not much wrong in the filmmaking, except maybe the slow pace it opens the film with. The first half of the film works very slowly, and while the plot is moving relatively quickly in explaining what is about to happen, Kölsch and Widmyer move the camera slowly in the house and in the forest where the cemetery is. They also have directed the characters to move very slowly. It’s all kind of a slog really, if the story around it wasn’t so engrossing. The biggest letdowns are some of the most interesting ideas that the film presents but doesn’t push forward with. The heavily promoted "creepy kids in masks" never really develops into anything outside that very description, while the mental health of Louis isn’t really given focus as much as it should have. 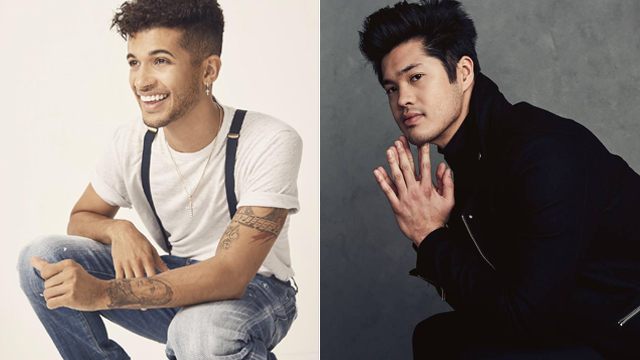 Thankfully, the cast is all in, even when their characters have little growth on the page. Clarke gives great horror movie face—whether he’s in shock, scared, or angry about something, his face is giving all these incredible emotions. Seimetz gets her own storyline that is more to add a touch of grotesque than necessary storytelling, but she makes do with what she has, and delivers. Laurence does a lot of the heavy lifting and mostly does a great job, while the towering Lithgow is terrific but without much of a story it doesn’t come across as fulfilling as one would hope. Pet Sematary is a remake that isn’t wasted. The directors run with this incredible plot point of "burial ground that resurrects" and deliver a terrifying, exciting, shocking film that will have audiences talking. While some of its pieces don’t quite fit (or are thrown away altogether), the horror filmmaking is top-notch, and much like the 2017 remake of It, is a welcome addition to the storied history of King adaptations. Pet Sematary opens in theaters on April 3. Photos courtesy of United International Pictures.